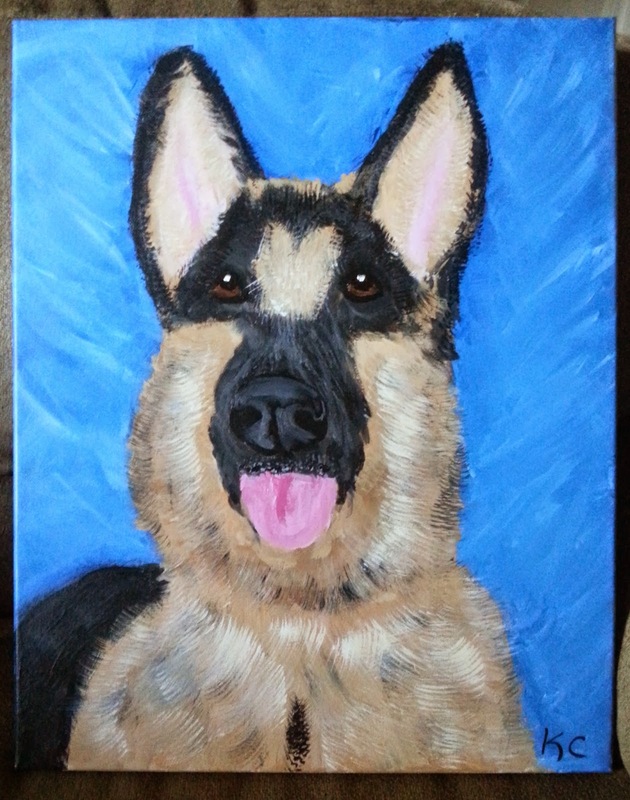 A few months ago I shared my desire to try out the Paint Your Own Pet class at Painting With a Twist. Unfortunately the classes were always on Sundays -- my regular workday. And getting a Sunday off is damn near impossible during beach season. Well, I finally got to go! They offered a Wednesday night class and Breeder and I jumped on it. It was so much fun. 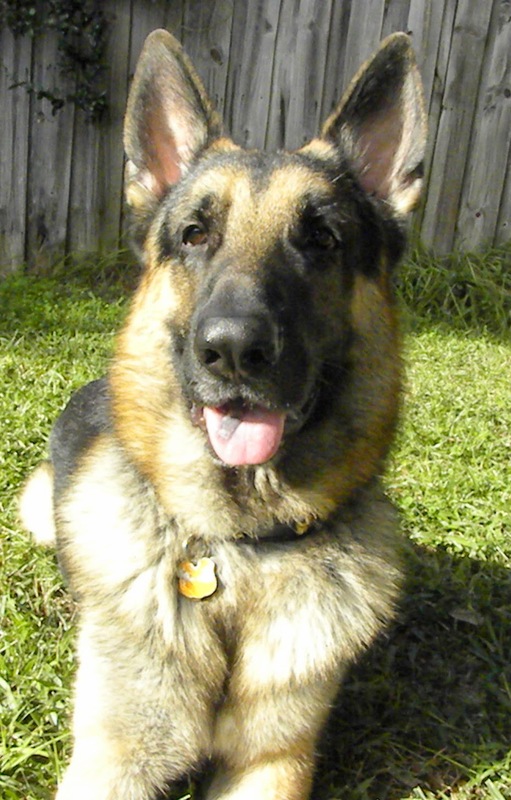 So it may not look exactly like Jedi, but at least you can tell it's a German shepherd, right? Considering that I have no artistic talent whatsoever, I'm pretty happy.